The Lightscape Visualization System from Discreet Logic represents a new generation of computer graphics technology that combines proprietary radiosity algorithms with a physically based lighting interface. The most significant feature of Lightscape is its ability to accurately simulate global illumination effects. The system contains two integrated visualization components. The primary component utilizes progressive radiosity techniques and generates view-independent simulations of the diffuse light propagation within an environment. Subtle but significant effects are captured, including indirect illumination, soft shadows, and color bleeding between surfaces. A post process using ray tracing techniques adds specular highlights, reflections, and transparency effects to specific views of the radiosity solution. Most rendering programs calculate the shading of surfaces at the time the image is generated. Lightscape's radiosity component precalculates the diffuse energy distribution in an environment and stores the lighting distribution as part of the 3D model. The resulting lighting "mesh" can then be rapidly displayed. Using OpenGL display routines, Lightscape takes full advantage of the advanced 3D graphics capabilities of SGI workstations or PC-based OpenGL-compliant graphic acceleration boards. 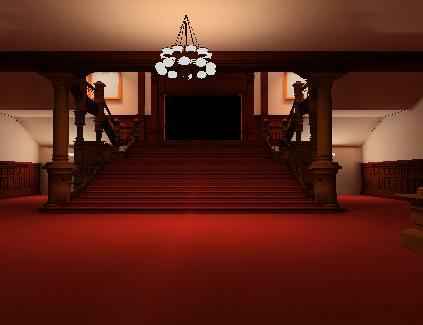 Lightscape allows you to interactively move through fully simulated environments. Lightscape utilizes a progressive refinement radiosity algorithm that produces useful visual results almost immediately upon processing. The quality of the visualization improves as the process continues. In this way, the user has total control over the quality (vs. time) desired to perform a given task. At any point in the solution process, users can alter the characteristic of a light source or surface material and the system will rapidly compensate and display the new results without the need for restarting the solution. This flexibility and performance allow users to rapidly test various lighting and material combinations to obtain precisely the visual effect desired. 25% Walkthrough wireframe rendering of "Cornell Box" model using line loops with colors supplied per vertex. 25% Full-screen walkthrough solid rendering of "Cornell Box" model using smooth-shaded z-buffered quads with colors supplied per vertex. 25% Walkthrough wireframe rendering of 750K-quad Parliament Building model using line loops with colors supplied per vertex. 25% Full-screen walkthrough solid rendering of 750K-quad Parliament Building model using smooth-shaded z-buffered quads with colors supplied per vertex.